The Vikings have taken the NFC North by the scruff of the neck following Green Bay quarterback Aaron Rodgers's season-ending injury and their path to the playoffs would be considerably eased by a win in Detroit in the opening clash of the Thanksgiving triple bill. Minnesota have won their last six matches and enjoy a two-win cushion over the Lions. If they can stay on track, they are well placed to ensure a first-round bye as they aim to be the first team to win the Super Bowl in their home stadium. Their defence has been solid, conceding just 16 touchdowns in ten matches, but the Lions have won their last three games and have also risen to the challenge provided by the Packers' misfortune. Some may not be impressed that those victories have come against the Packers, winless Cleveland, where they were tested for three quarters, and Chicago, who have won only three matches. But they remain a team who do not know when they are beaten and are one of only two sides who have beaten the Vikings this season, posting a 14-7 success in Minneapolis in Week Four. That was a tight affair but there is scope for this clash to be more open, especially when you consider that the Lions have no option but to go for it. They will be encouraged in what is traditionally their biggest home match of the season. 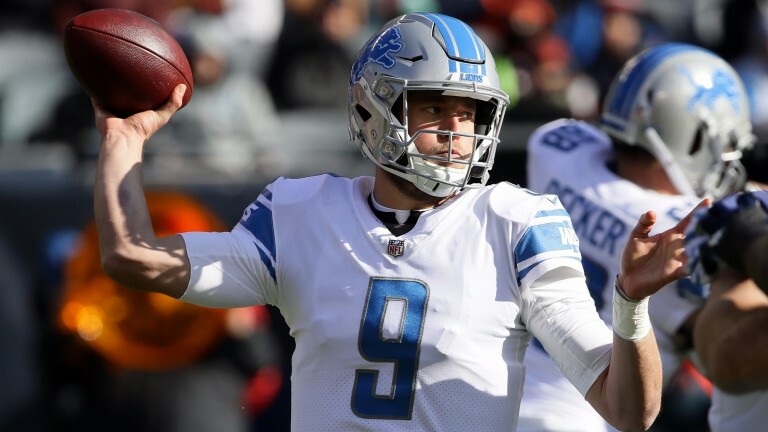 In Matthew Stafford, they have a quarterback who can direct late rallies – only Kansas City better their average of 9.4 fourth-quarter points – and, with that in mind, 44 may be a modest points line. Cornerback Xavier Rhodes has returned to full practice after suffering a calf injury in Sunday's win over the Los Angeles Rams. Safety Andrew Sendejo missed that game and continues to struggle with groin and hamstring injuries. Defensive end Ezekiel Ansah has been struggling with a back injury. Rookie cornerback Jamal Agnew has a knee problem. The points total has gone over the line in five of Detroit's last six home matches.